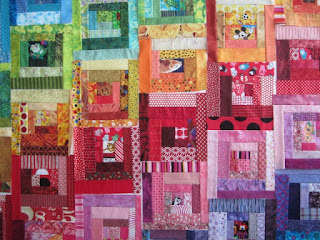 I have been working on my Scrappy Log Cabins for Ellison Lane Quilt a Long. I finally have all my blocks done. I rescued the red from the vacuum canister (it is the top right one). In the next few days I hope to sew the blocks together to make my top. Some of my blocks have cute little critters in the center. Lots of scraps used up. 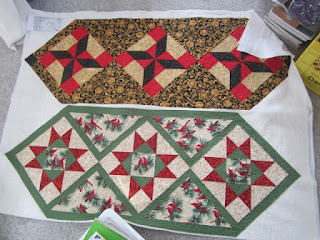 I also have my two Christmas table runners to finish up. They got machine quilted on Sunday but then I set them aside to quilt for customers on Monday morning. Maybe I can get them trimmed before I have to go Trick or Treating. I am taking my son out tonight for his last Halloween candy haul. Lex found a stick to play with. It came out of the fire box. It is cool here and I hope we have a fire some time soon. 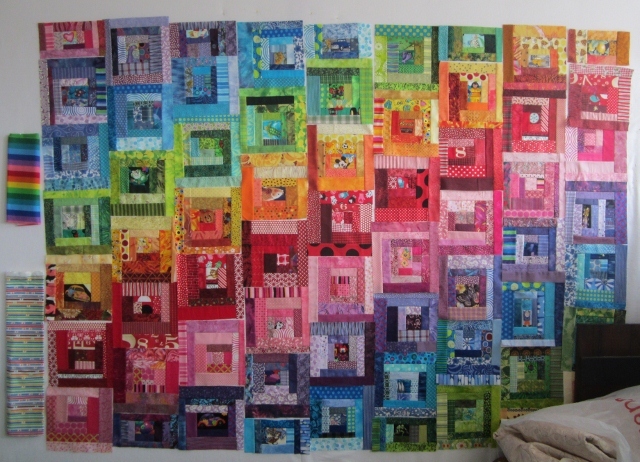 Your scrappy log cabin quilt is gorgeous! I love your rainbow log cabins. Very happy and bright to see amidst the cold and damp and wet outside here. Love these! so well done Cathy. The scrap rainbow log cabins look terrific! Filing this idea away for next years' (?) rainbow scrap challenge. 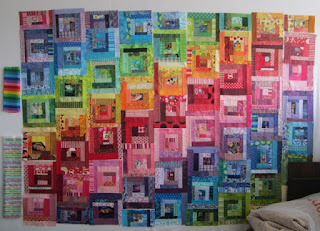 Well, I've found my Rainbow Challenge blocks for 2013!!! 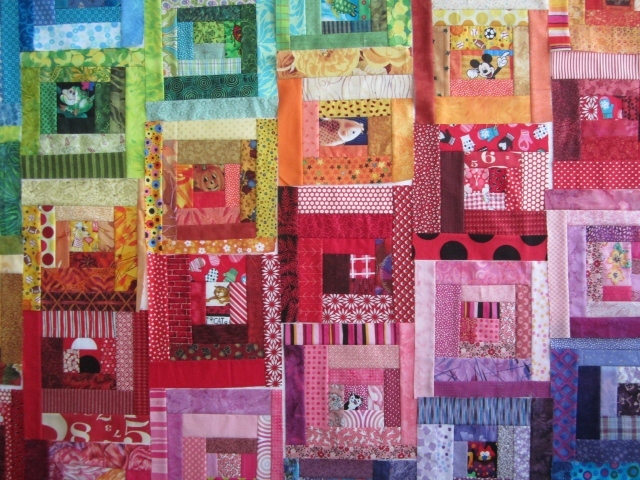 I just LOVE your Scrappy Log Cabins quilt Cathy - gorgeous! Love this quilt! 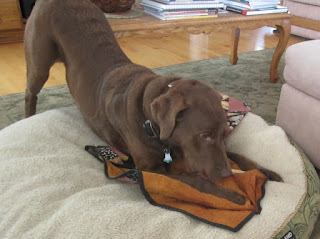 And I see we also share a love of chocolate labs...mine just turned 4 years old.